This is a baked crab dip made with cream cheese, crabmeat, and seasonings. It's very easy to make and you probably have most of the ingredients on hand. Drain the crab meat thoroughly before you combine it with the cream cheese. 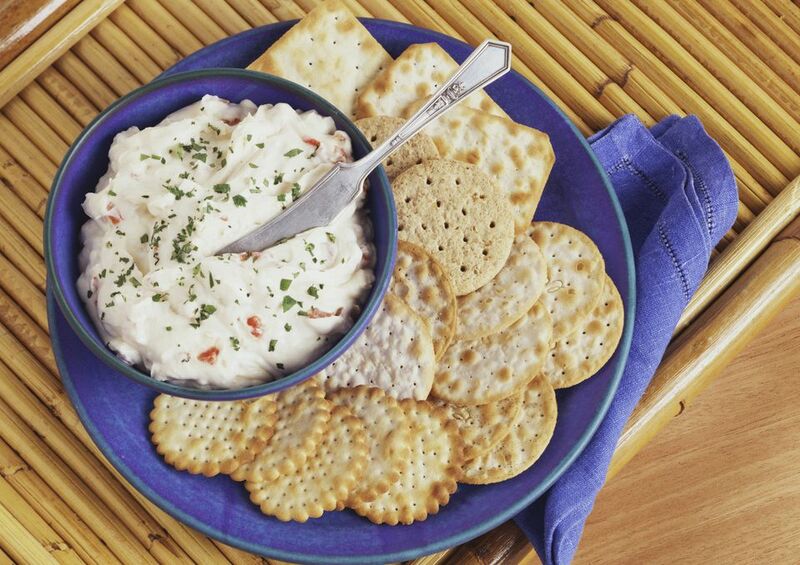 Serve this crab dip hot with crackers, bagel chips, or vegetable sticks. In a medium bowl, combine the softened cream cheese, crabmeat, onion, milk, salt, pepper, and Worcestershire sauce. Stir to blend thoroughly. Place mixture in an ovenproof serving dish; sprinkle the top with a little paprika. Bake in the preheated oven for about 15 minutes, or until thoroughly heated. Garnish with sliced green onions or fresh chopped parsley, if desired. "I make this dip all the time, especially holidays ...the family does not care for Worcestershire, so I leave that out. It makes it less salty, as another reviewer wanted. Always drain the crab, as this recipe does not need additional liquid. Best if heated in advance, as flavors blend after cooking. A bland firm cracker or bagel chip is best to dip in it. Or carrot slices - saw them in the wholesale megastore." J.T. "I tripled the recipe for some friends at a potluck and baked it in a pound cake dish. They enjoyed it. I would consider maybe cutting the salt a little bit because I think it would still be good and less salty but it was nice served with bagel chips for dipping. Very fast and easy to do; using a fork to mash up the cream cheese makes it blend better." T.L. "This is so easy to make and absolutely delicious! The only way this wouldn't turn out good is if you don't drain the liquid from the can of crabmeat ...drain it like you would tuna or any canned seafood ...it was wonderful!" S.K.